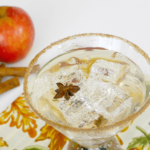 This caramel apple cocktail is the perfect alcoholic treat for the fall! 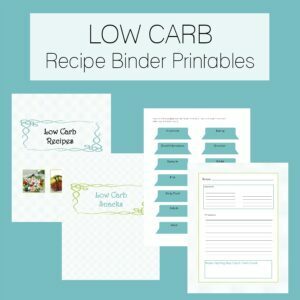 It’s low carb, keto, and sugar free! Apple Flavor Baking Oil – Definitely a life-changing find! Apples are, as you probably know, off limits from a low carb point of view. But this zero carb oil gives a really good apple flavor to whatever you’re making! 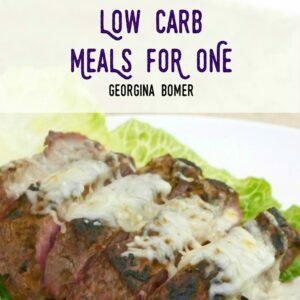 I’ve loved it in these three low carb recipes: Donut Bites with Apple and Cinnamon, Faux Apple Crumble, and Caramel Apple Sauce. ChocZero Caramel Syrup – One of the few low carb caramel sauces that is maltitol free. 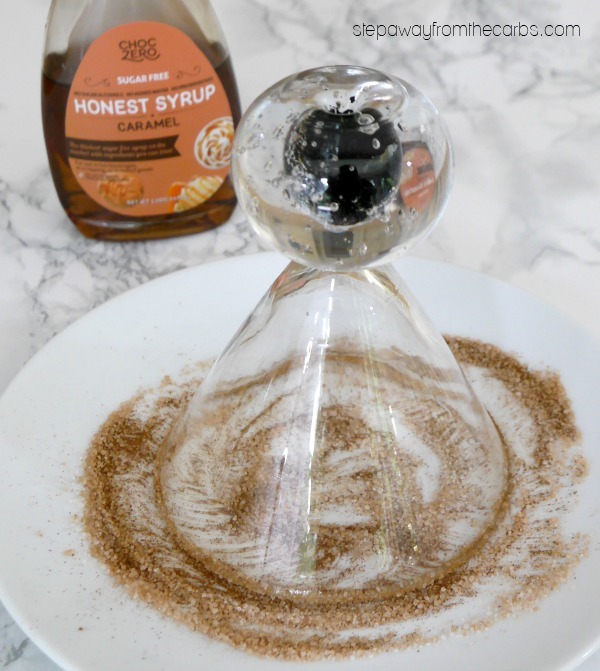 I love everything from this brand – and you may remember that I used this syrup in my recipe for Salted Caramel Ice Cream! 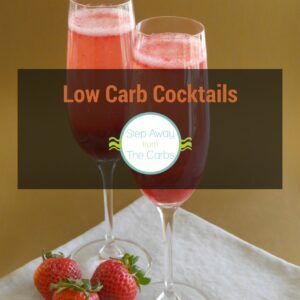 To prepare the cinnamon rim of the glasses, mix together low carb sweetener of choice with ground cinnamon on a plate. Drizzle a little of the ChocZero caramel syrup onto a paper towel and wipe it around the rim of the glass. Dip each glass into the cinnamon mixture and turn it a few times to fully coat the rim. Set aside. To mix the cocktail base, add vodka, gin, apple oil (or extract), and the caramel syrup to a jug. Stir or whisk well to mix together – the syrup is pretty thick so make sure that it is fully combined. Add some ice to the two prepared glasses, then divide the cocktail base between them. Top up with club soda and garnish with star anise, cinnamon – or – if your diet allows – a few small cubes of apple on a skewer. 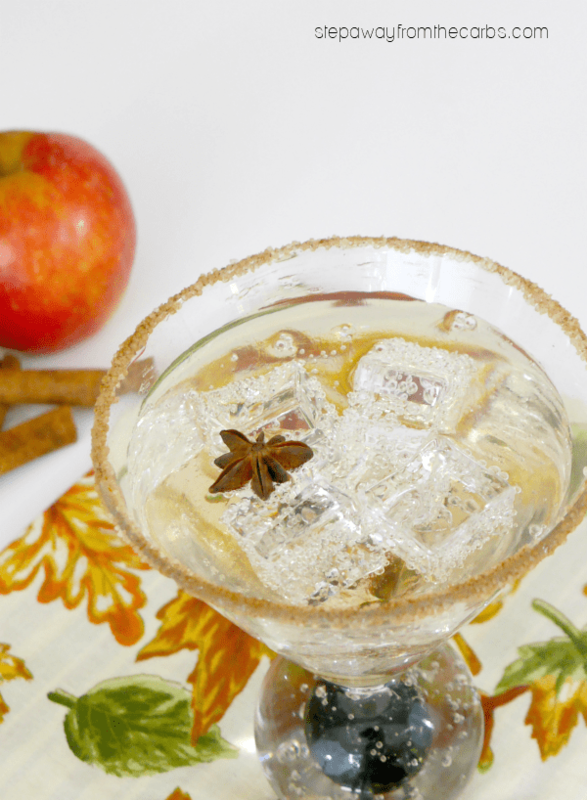 This caramel apple cocktail is lightly sparkling and you’re just going to love the blend of classic fall and autumn flavors like apple, cinnamon, and caramel! 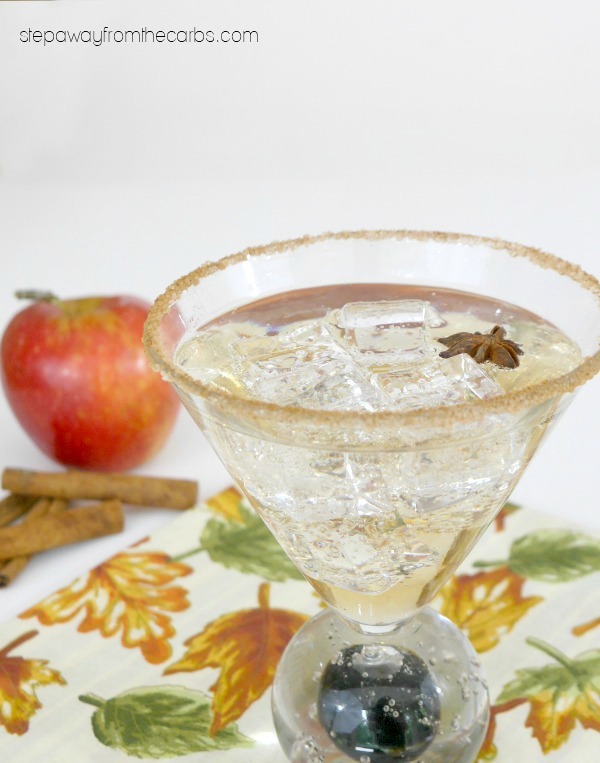 This caramel apple cocktail is the perfect alcoholic treat for the fall! 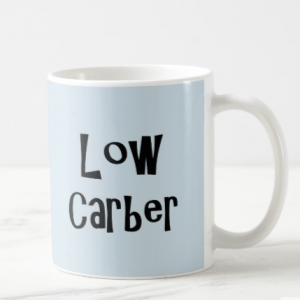 It's low carb, keto, and sugar free! To prepare the cinnamon rim of the glasses, mix together the sweetener with the ground cinnamon on a plate. Drizzle a little of the caramel syrup onto a paper towel and wipe it around the rim of each glass. 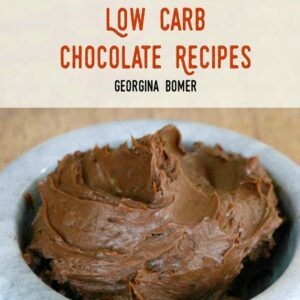 Dip each glass into the cinnamon mixture and turn it a few times to fully coat the rim. Set aside. To mix the cocktail base, add vodka, gin, apple oil, and the caramel syrup to a jug. Stir or whisk well to mix together. Add some ice to the two prepared glasses, then divide the cocktail base between them. Top up with club soda and garnish with star anise, cinnamon - or - if your diet allows - a few small cubes of apple on a skewer.